As usual, this work is perceptive and easily digested. 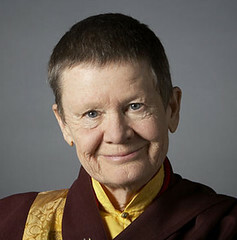 Also, as is common with her other works, Pema Chodron approaches the topic with the knowledge that her readers are, like herself, fully human. If you find yourself in the same emotional rut day after week after year, or perhaps you continue to take the same actions expecting different results, there is something in here for you.